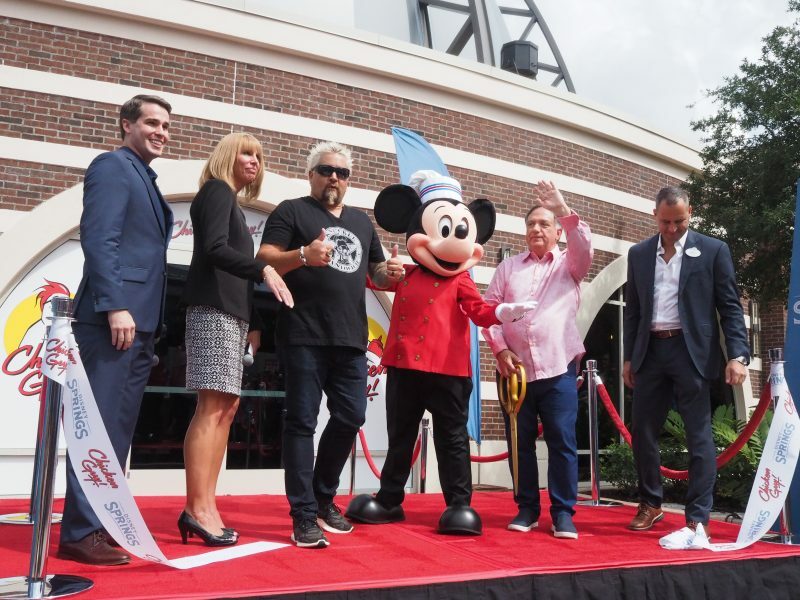 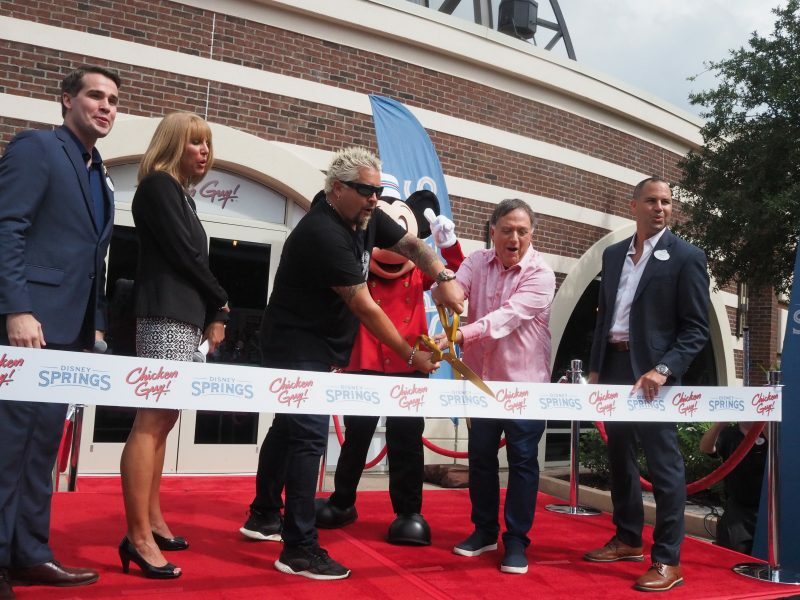 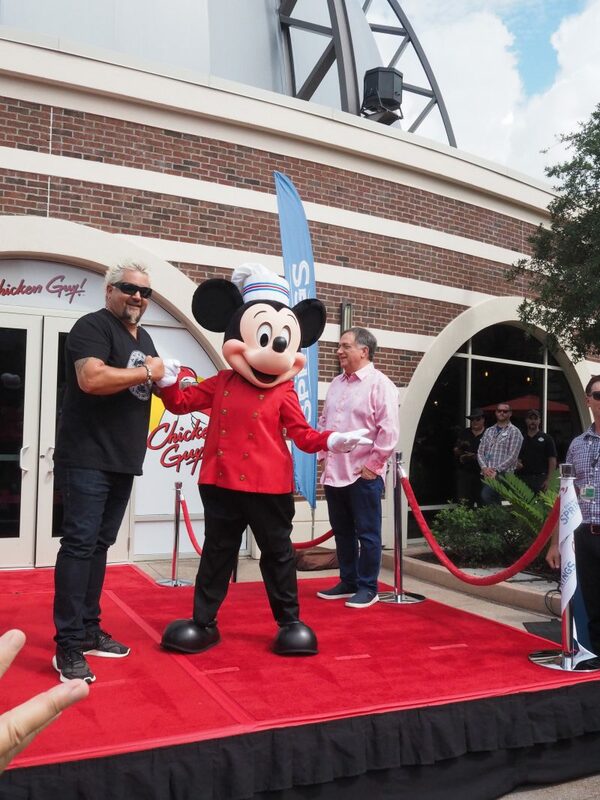 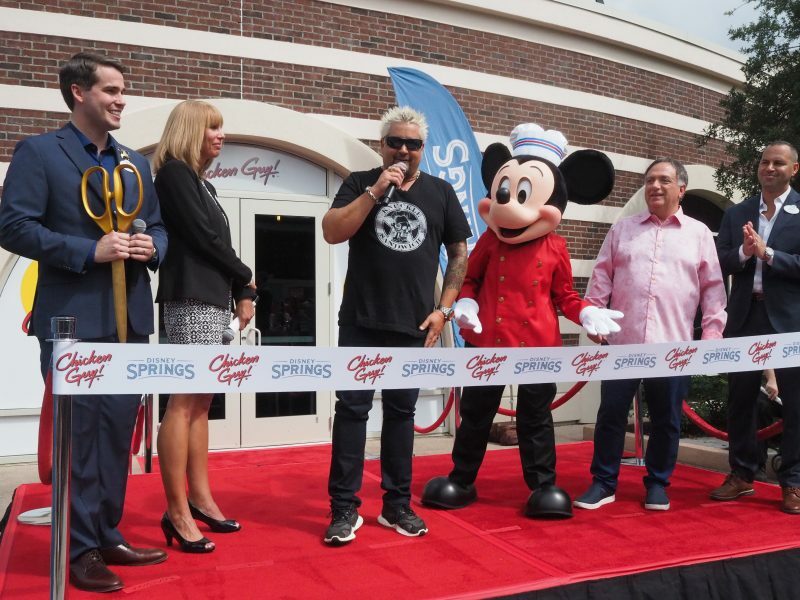 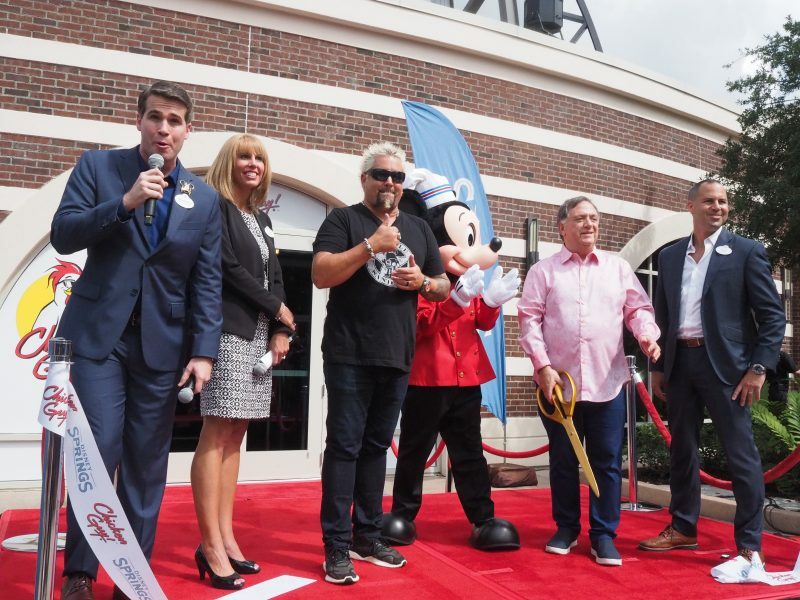 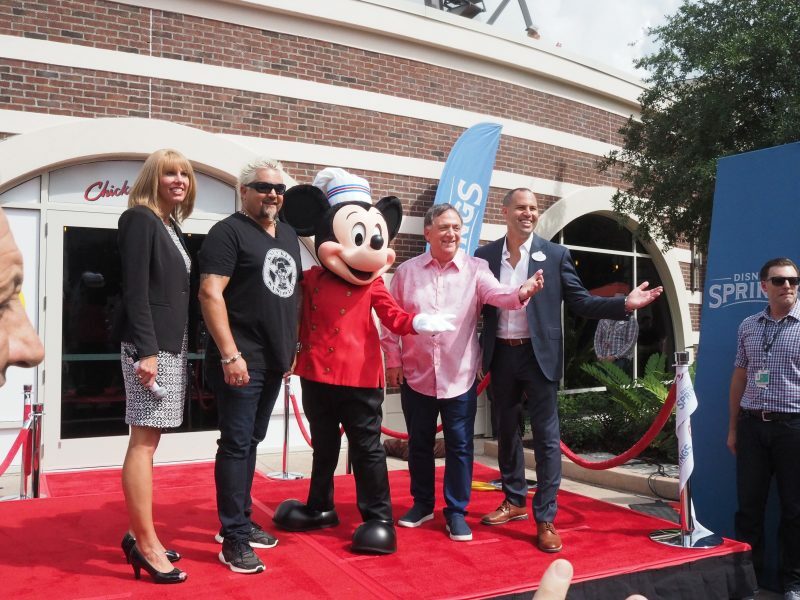 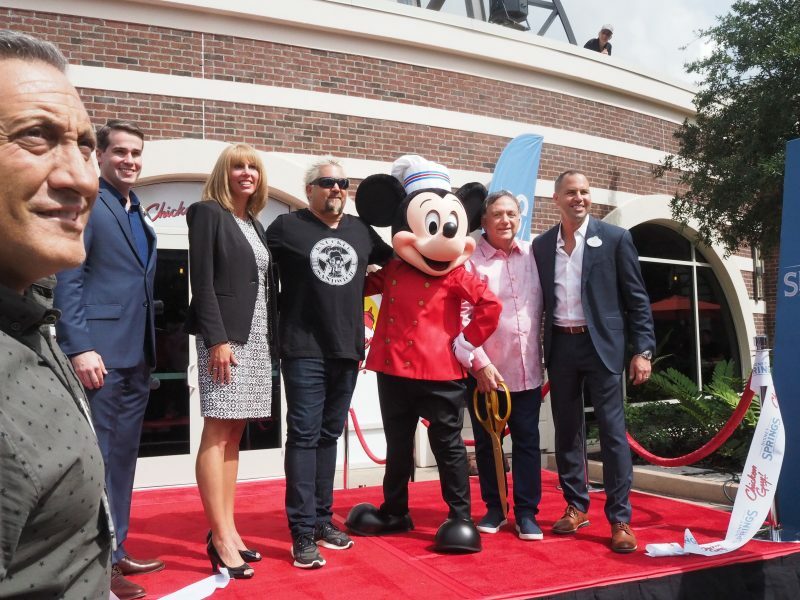 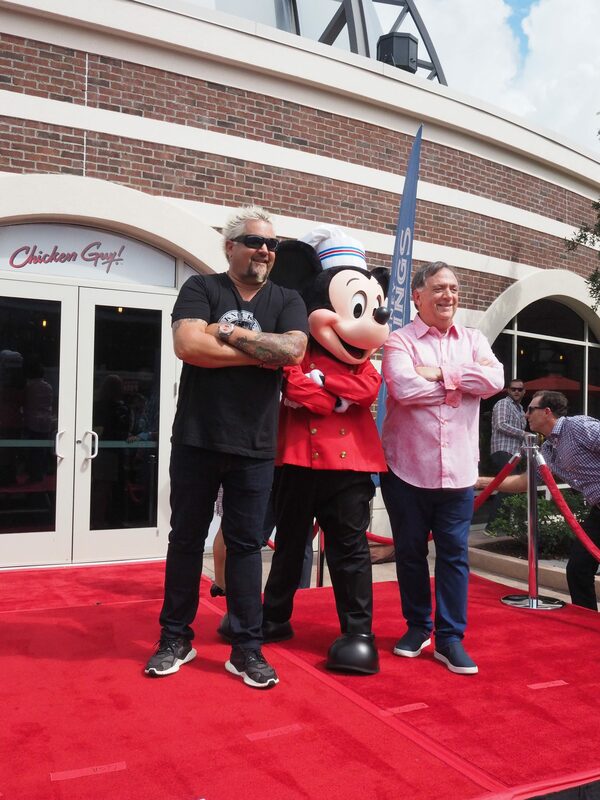 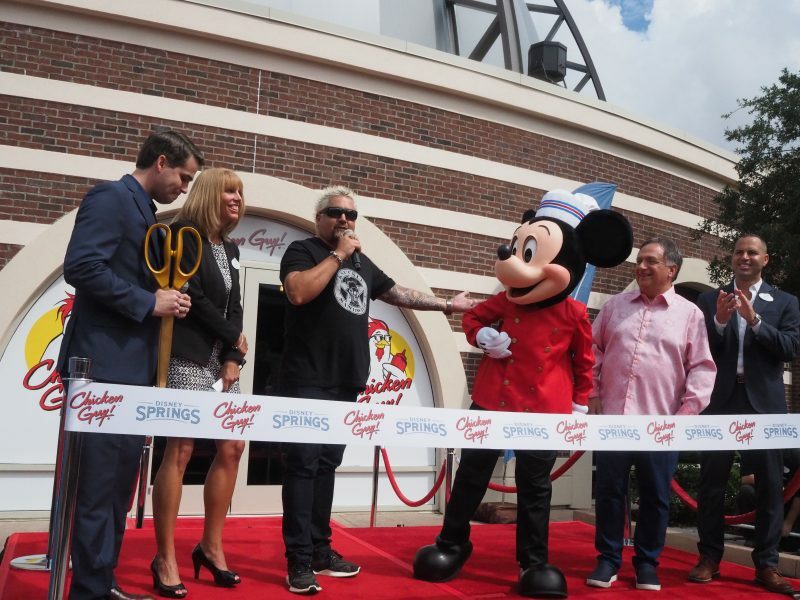 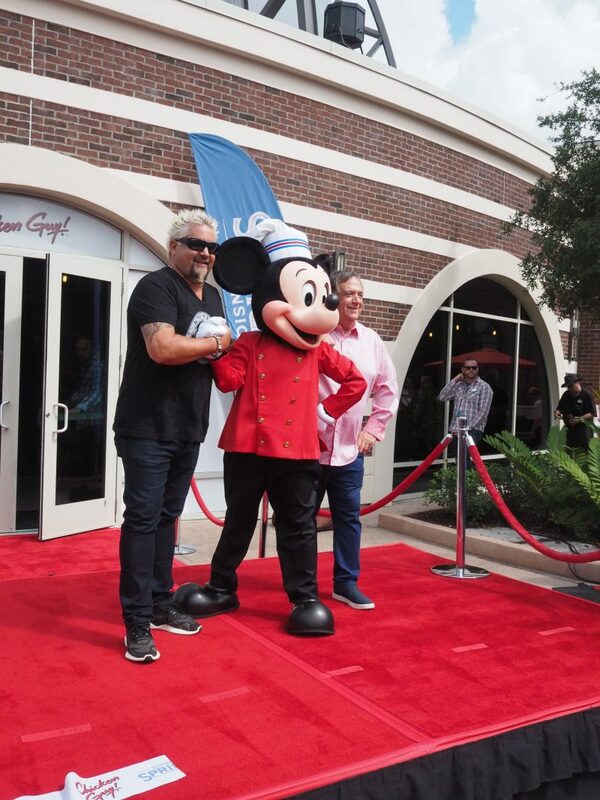 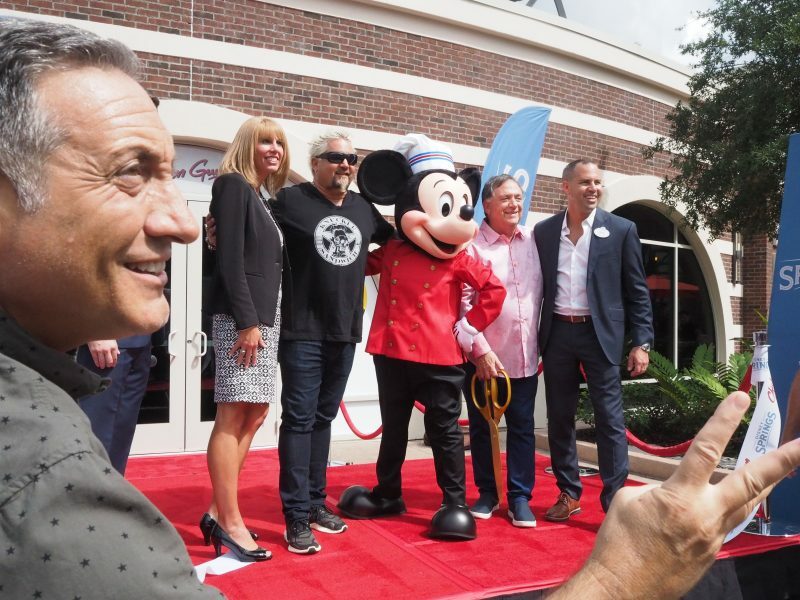 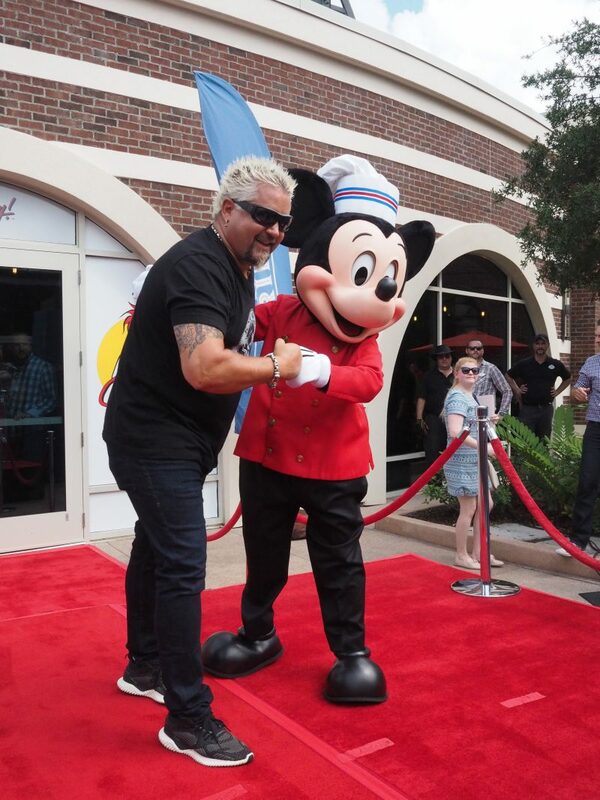 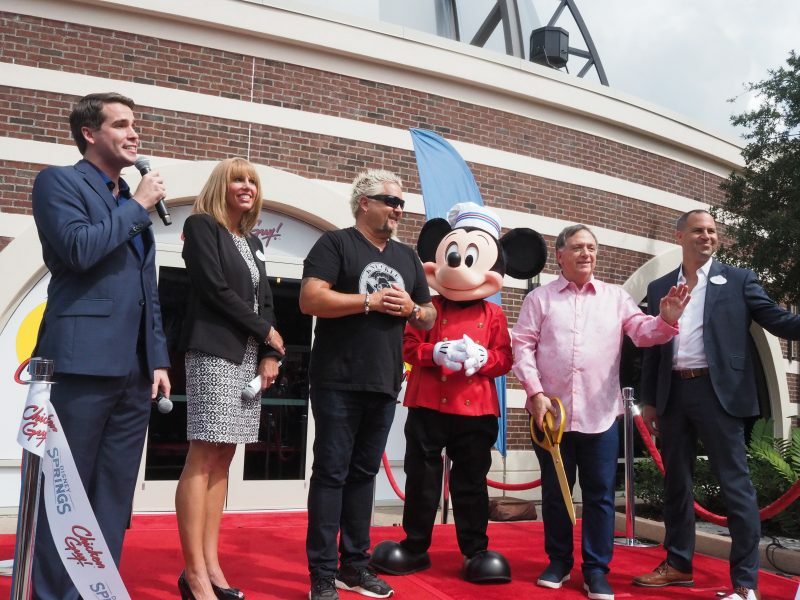 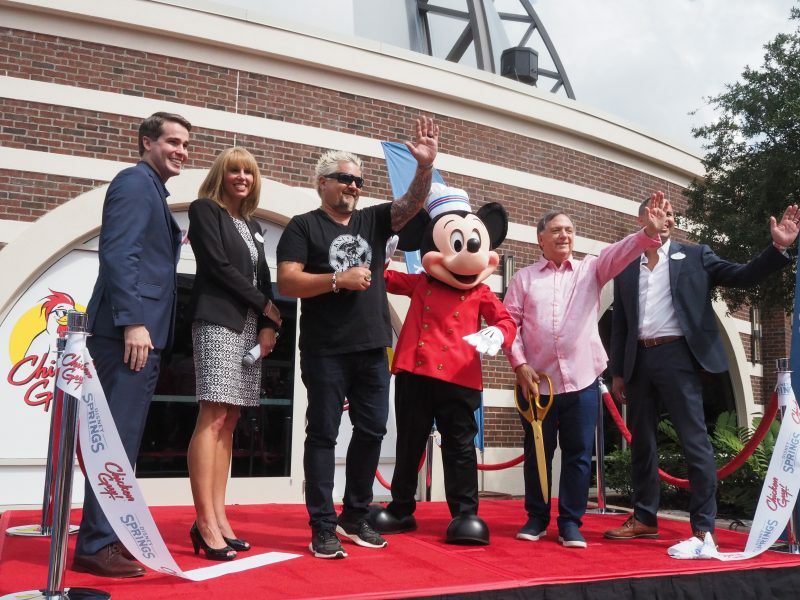 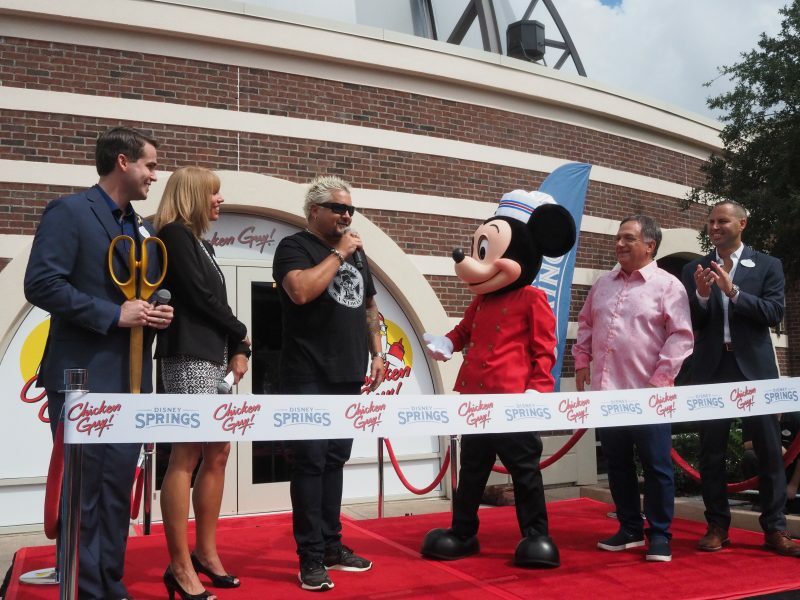 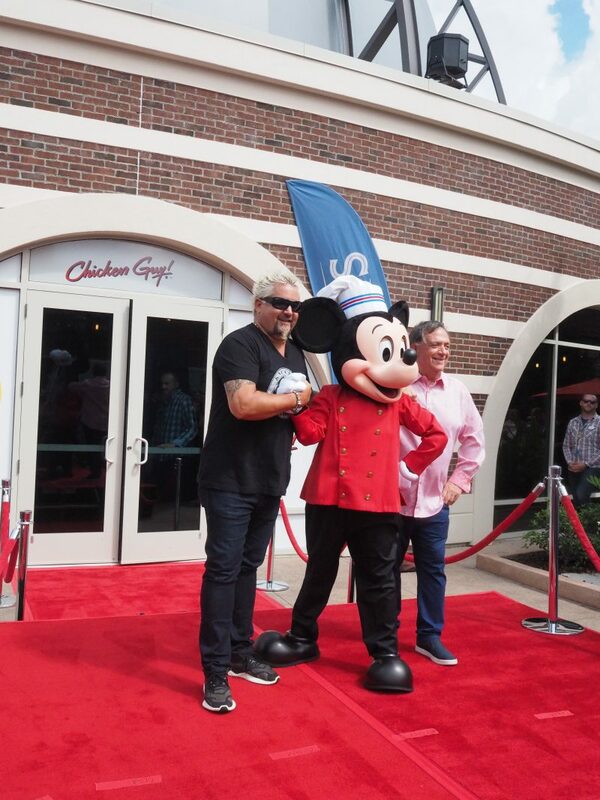 The official grand opening ribbon cutting ceremony with Guy Fieri, Chef Mickey, and Robert Earl (founder and CEO of Planet Hollywood) at the flagship location of Chicken Guy! 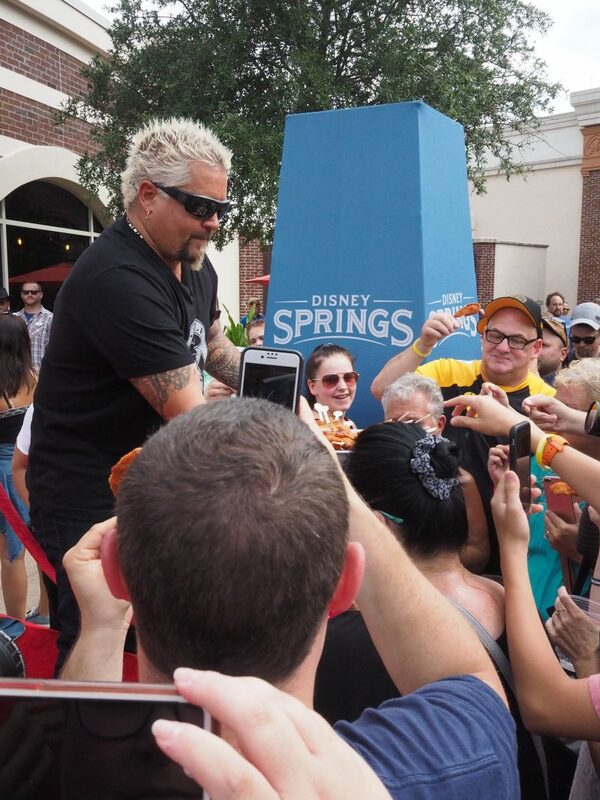 yesterday morning at Disney Springs. 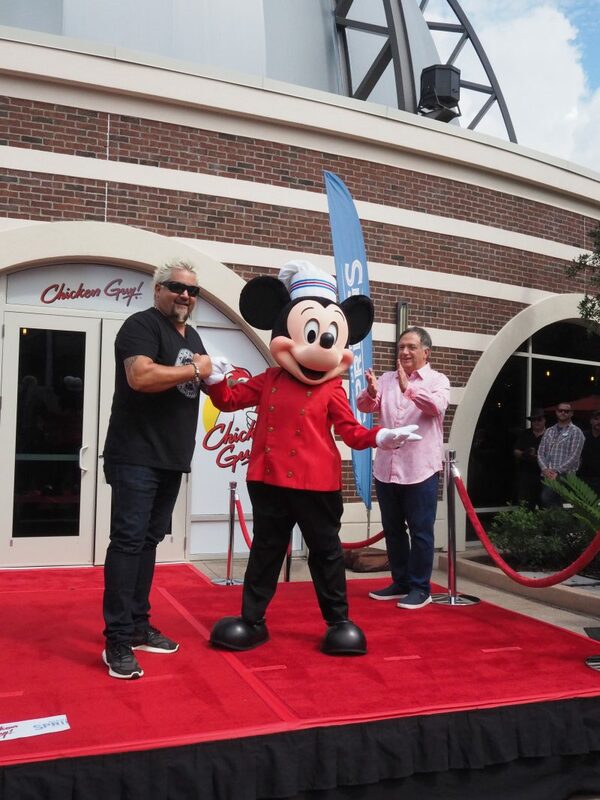 Celebrity chef Guy Fieri and restaurateur Robert Earl’s newest concept, Chicken Guy! 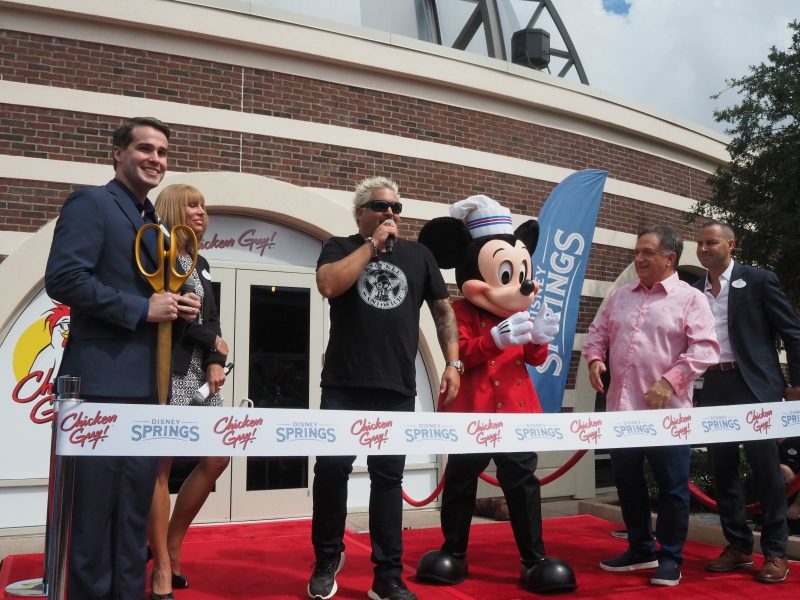 is now officially open at Disney Springs! 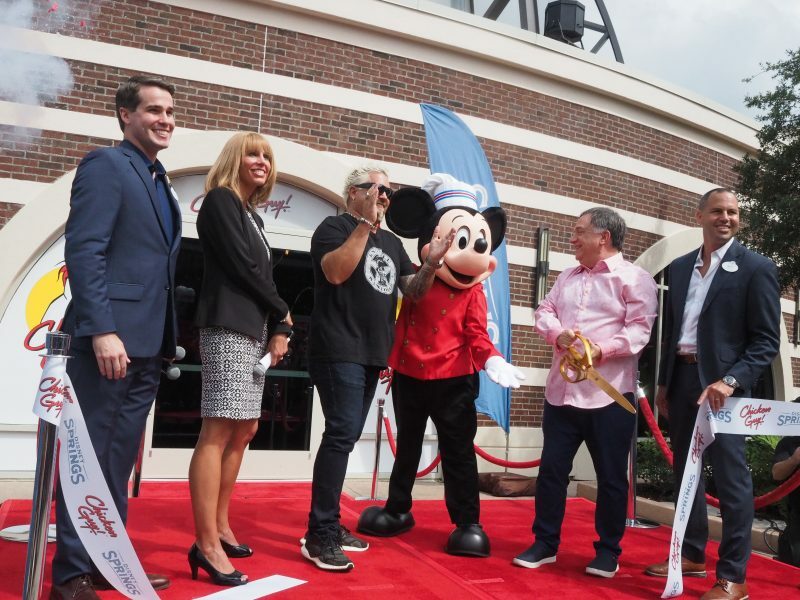 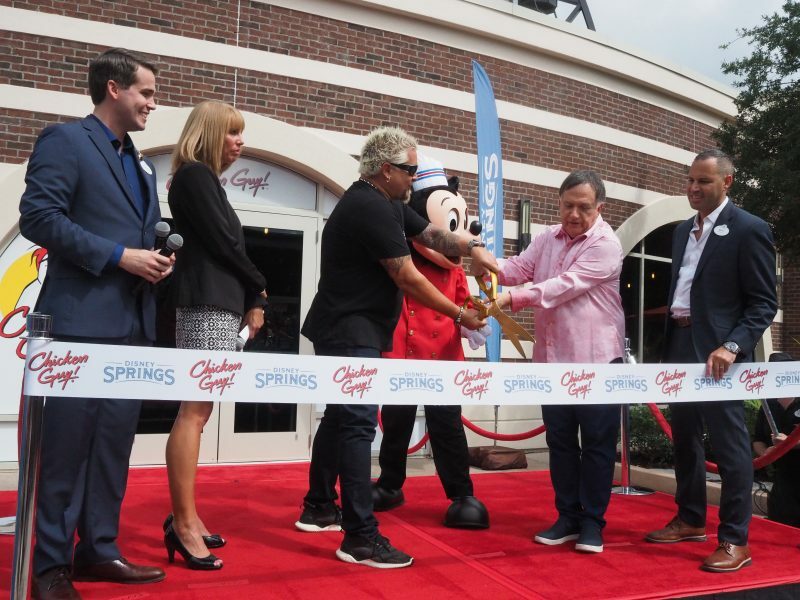 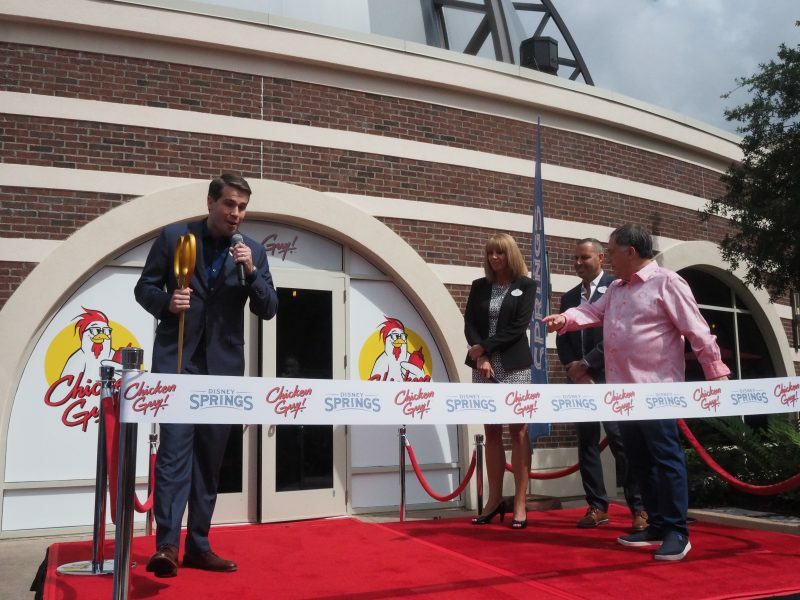 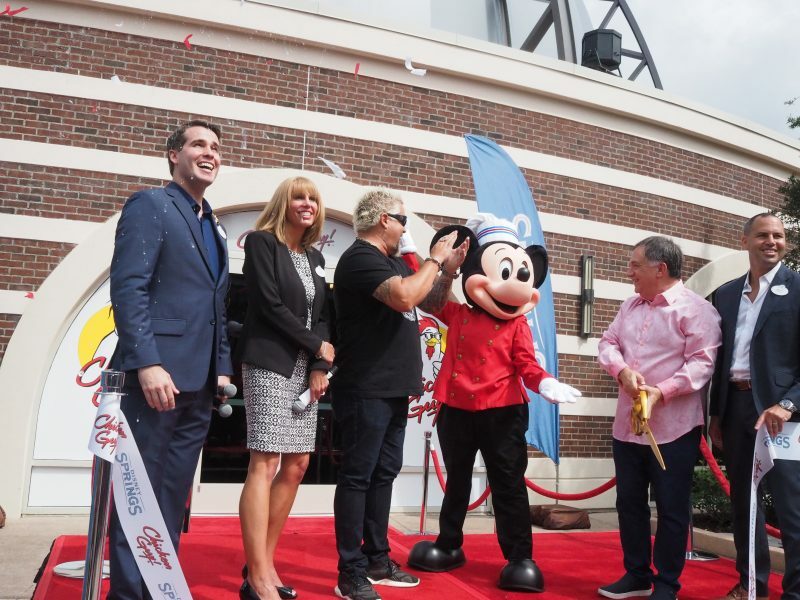 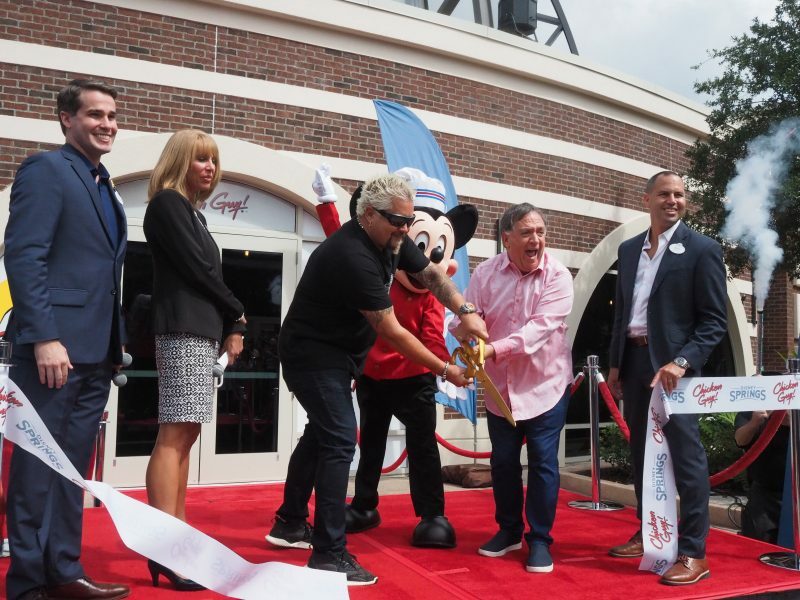 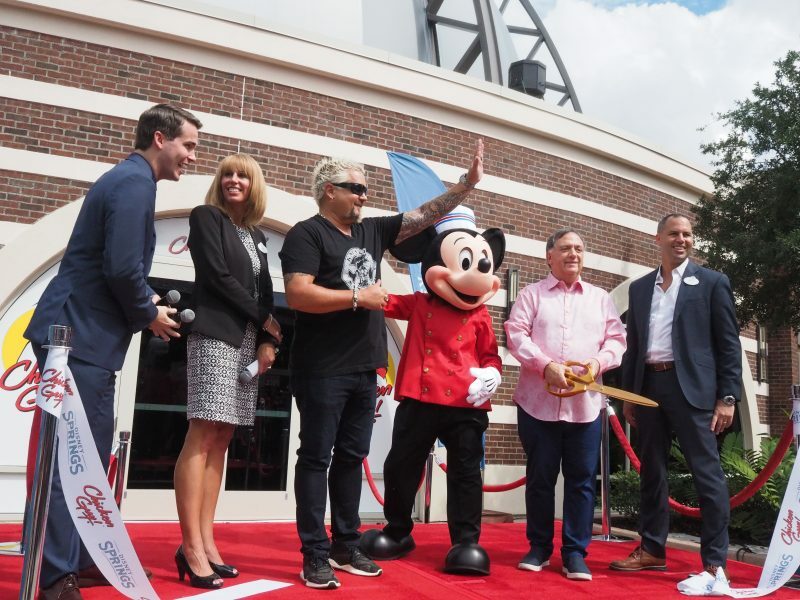 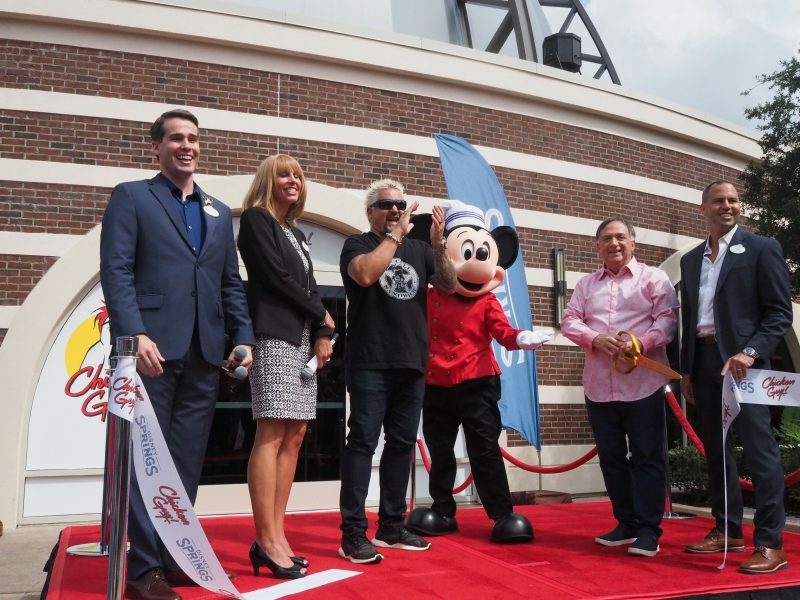 I was invited by their publicist Maria Wyatt-Uhl to attend their grand opening ribbon cutting ceremony yesterday morning to welcome both owners alongside Disney Executives and Mickey Mouse. 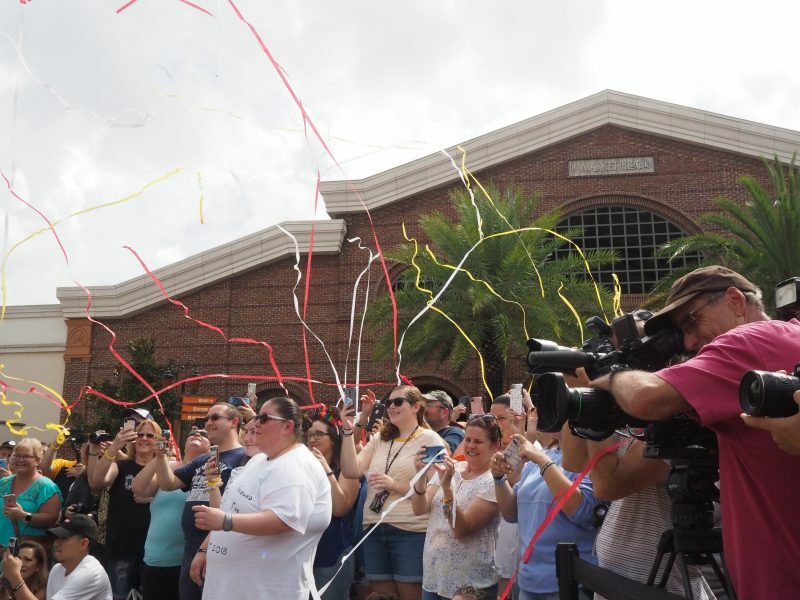 The event was open to the public and a big crowd of fans arrived to show their support. 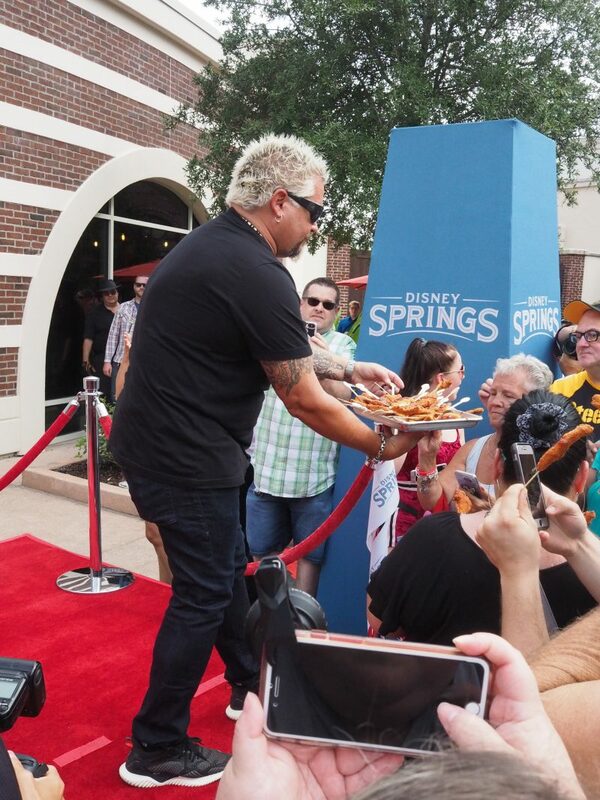 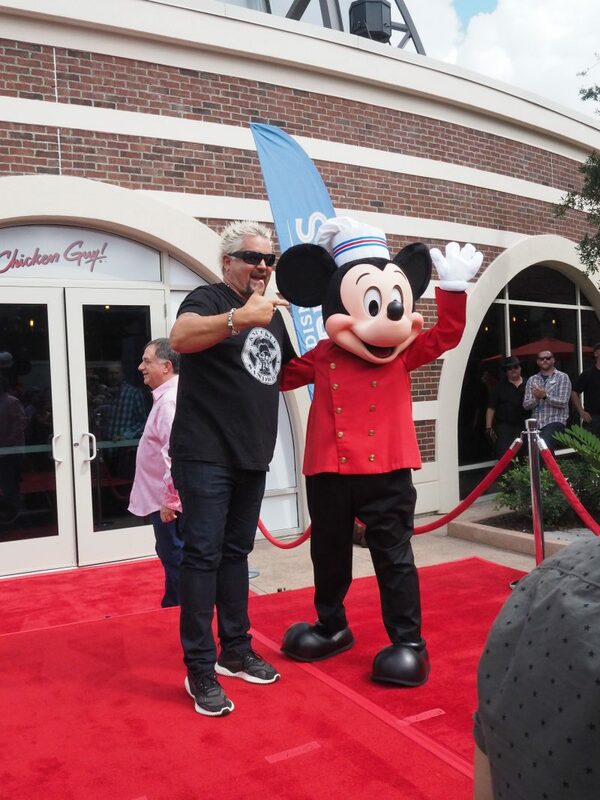 Following the ceremony, Guy Fieri passed out samples of different menu items to the crowd so that they can get a taste of his newest and tastiest creations. 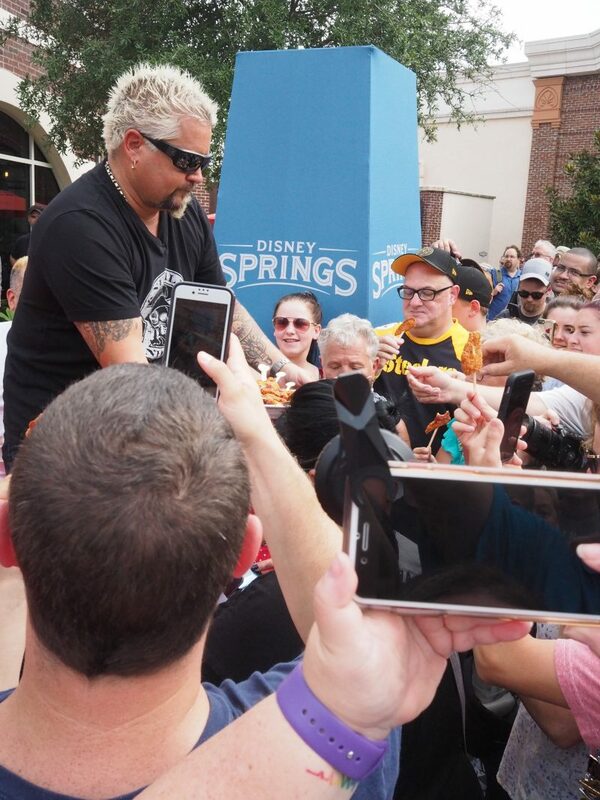 Chicken Guy! 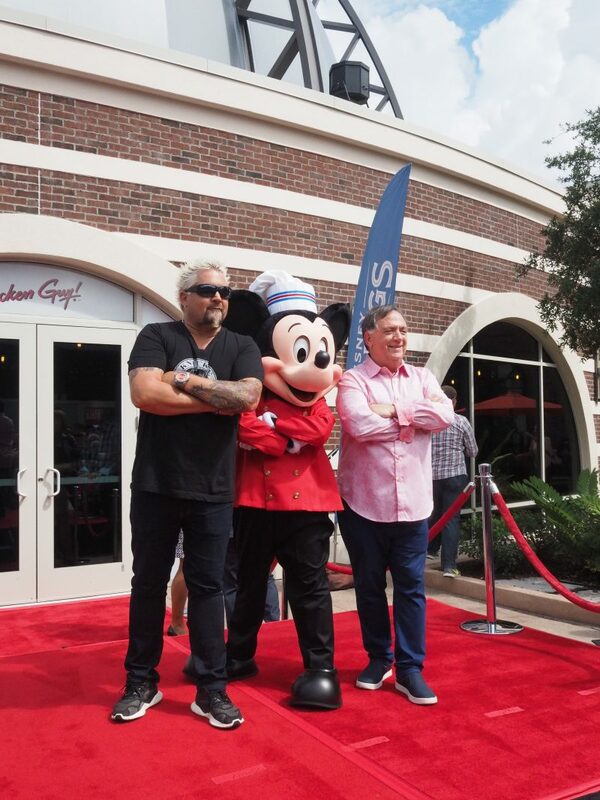 is located on the right side of Planet Hollywood in Disney Springs. 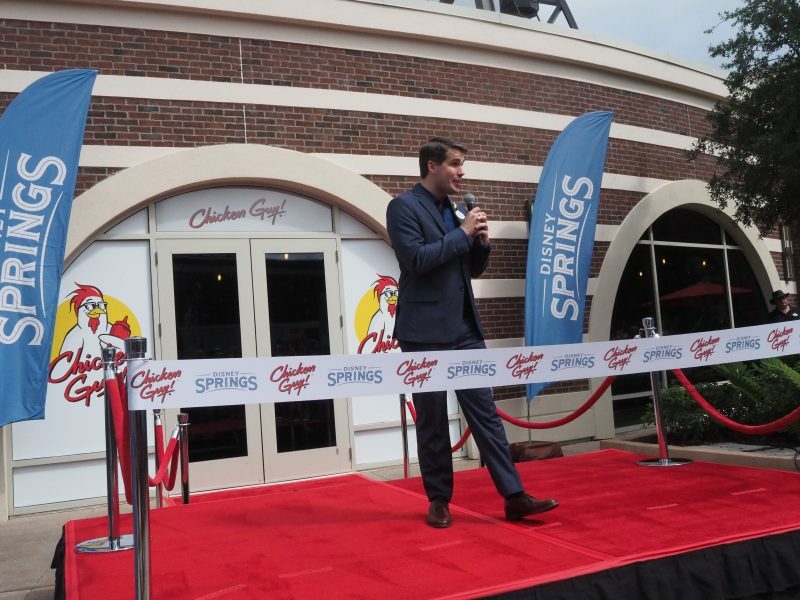 They are a fast-casual chain dedicated to serving delicious, succulent chicken tenders paired with a wide variety of flavorful sauces, 22 different dipping sauces to be exact, meant to please all palates and all for a great value. 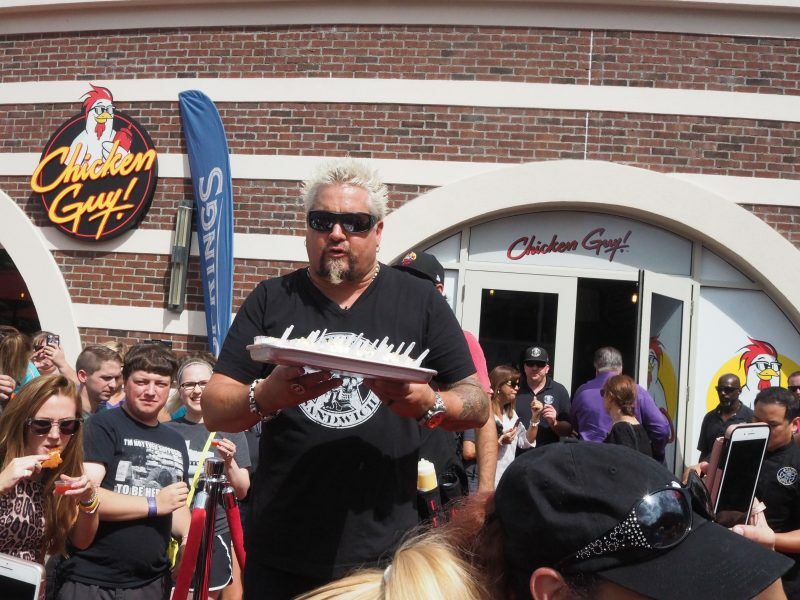 Every single menu item is under $9. 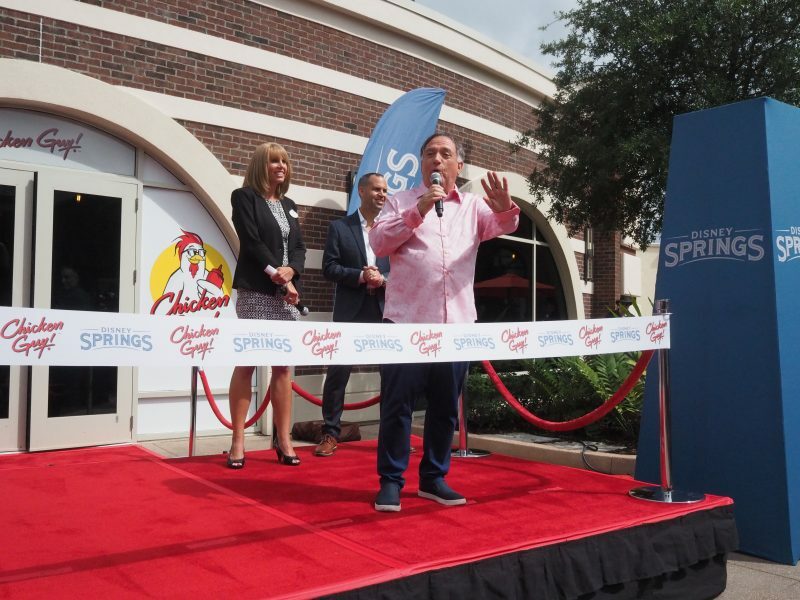 The chicken tenders are all-natural, antibiotic free, never frozen, hand-pounded to maximize crunch and breaded fresh every day. 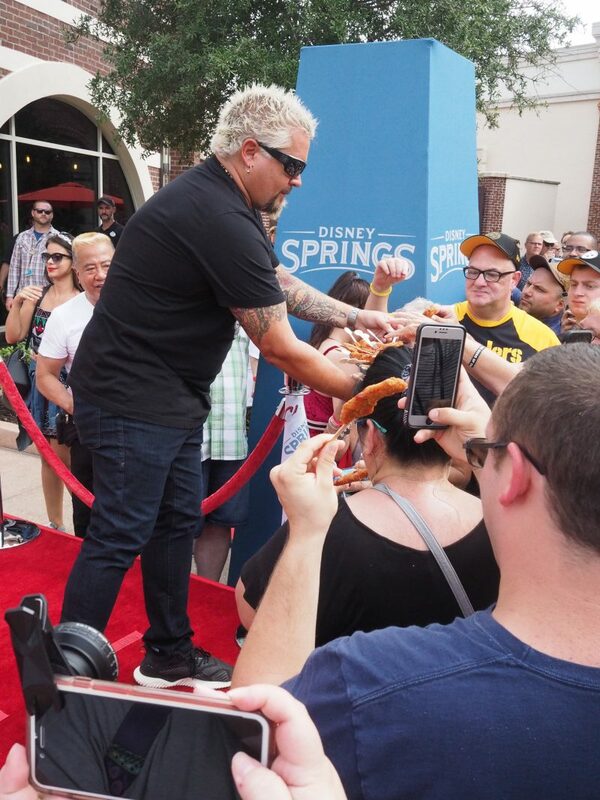 The chicken tenders are then soaked in lemon juice, pickle brine and buttermilk, and infused with a house blend of herbs and spices to deliver flavor and texture. 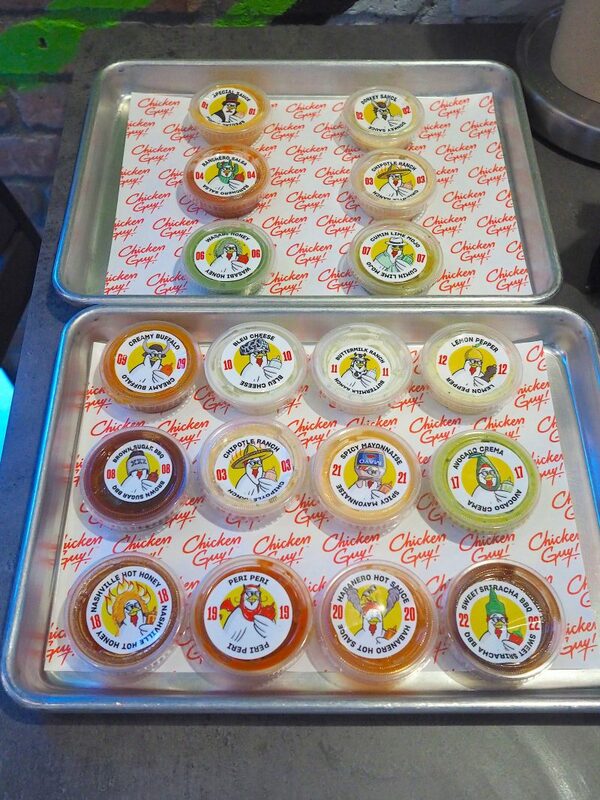 The innovative packaging at Chicken Guy! 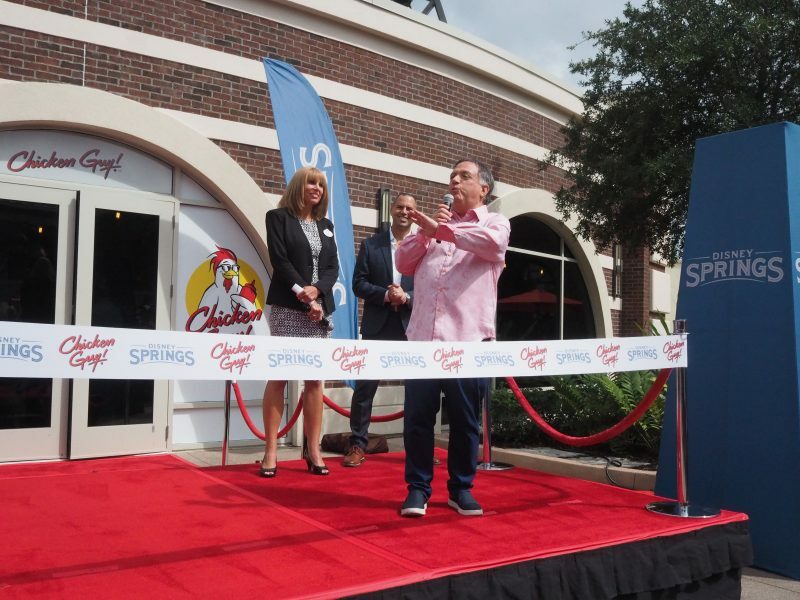 makes the food portable and easy to carry-out so you can trek around Disney Springs and explore all that it has to offer but you can also take advantage of their indoor/outdoor seating too if you’d like. 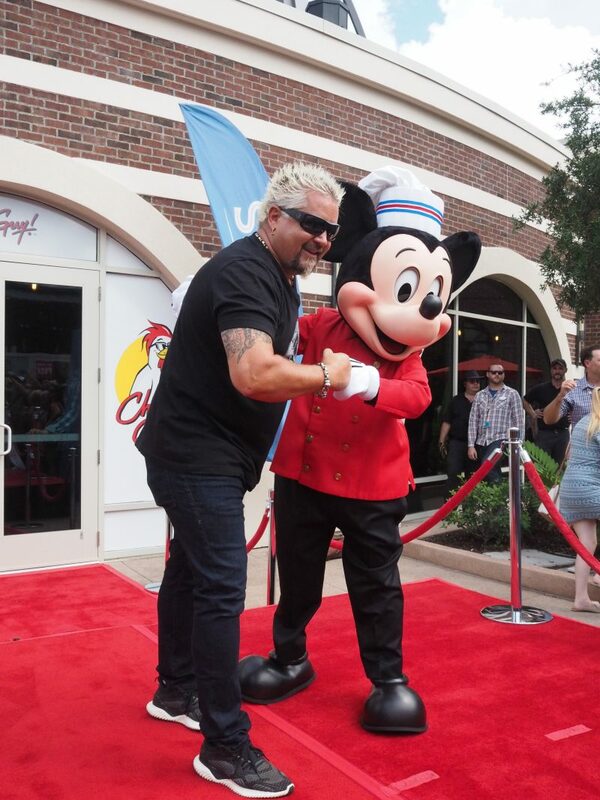 The interior of the restaurant is fun and spunky, just like Guy! 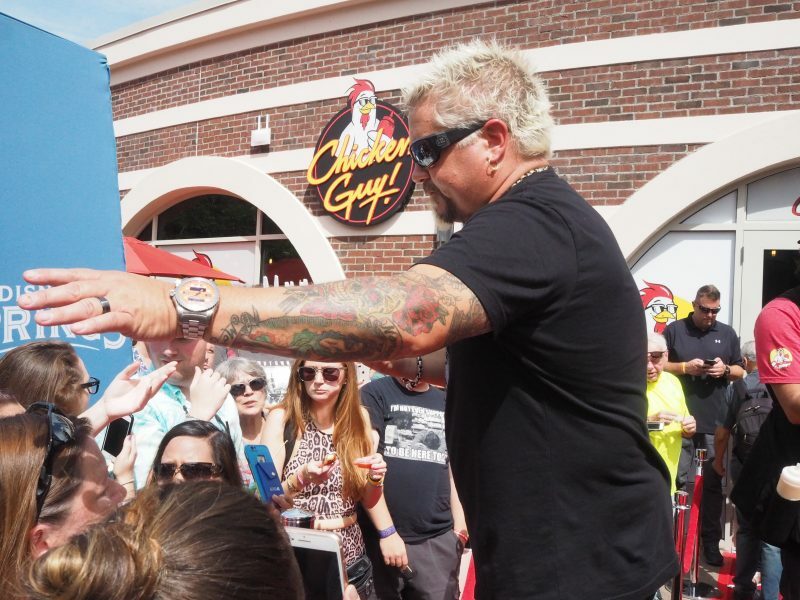 This is Guy Fieri and Robert Earl’s first Chicken Guy! 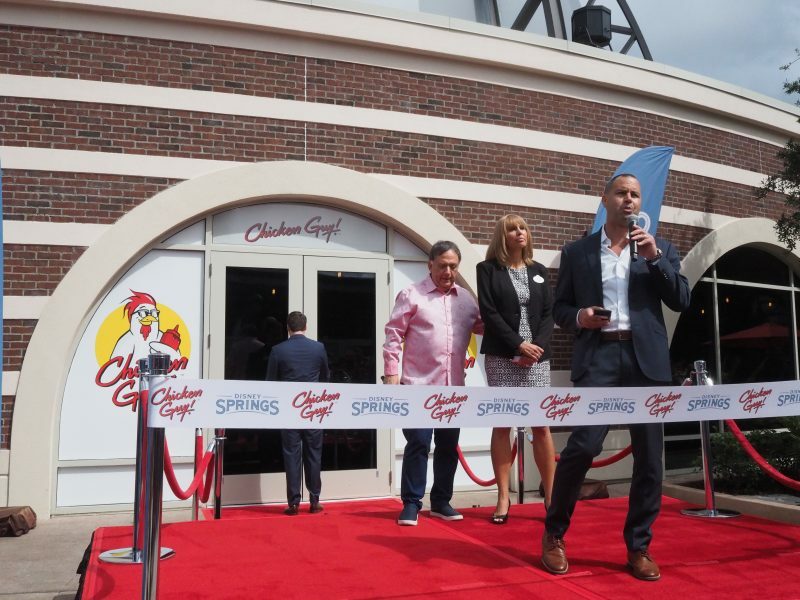 location, their flagship location, as they plan on opening more Chicken Guy! 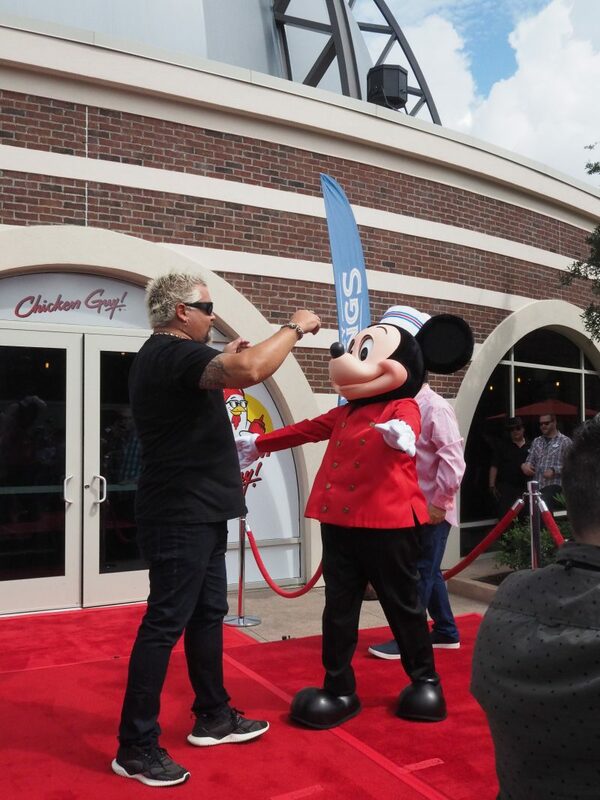 restaurants across the country. 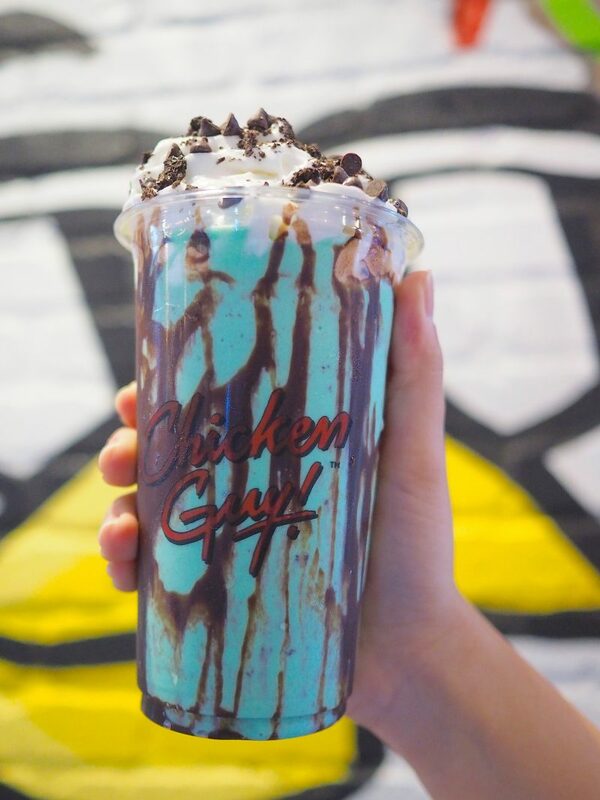 Their Las Vegas location is opening soon! 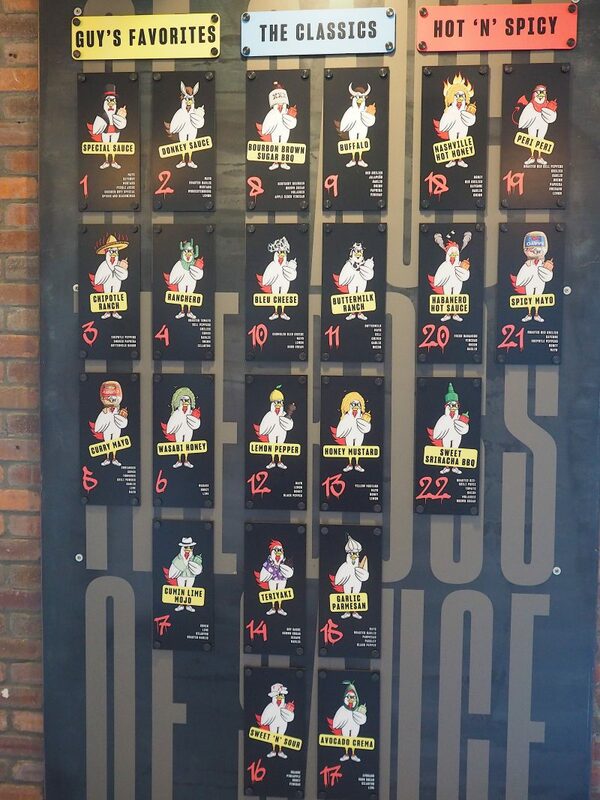 There are 22 different sauces at Chicken Guy! 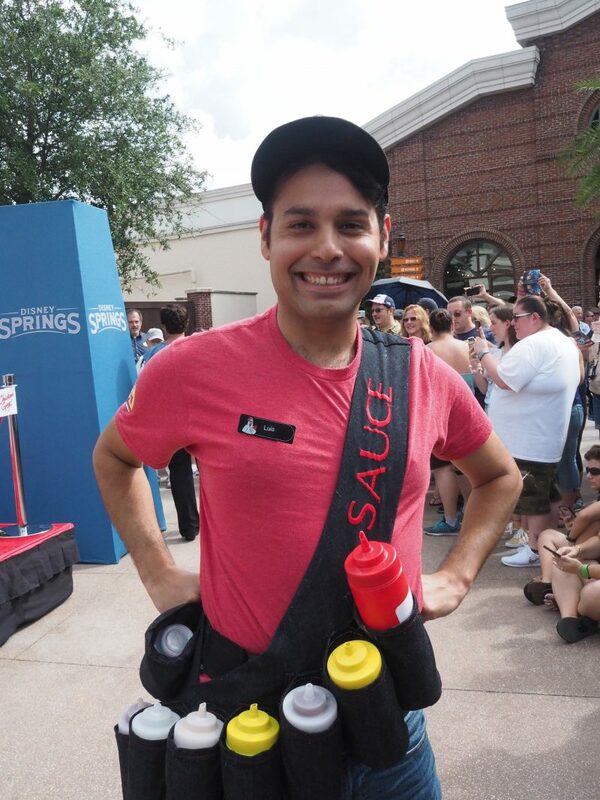 So many choices of sauces! 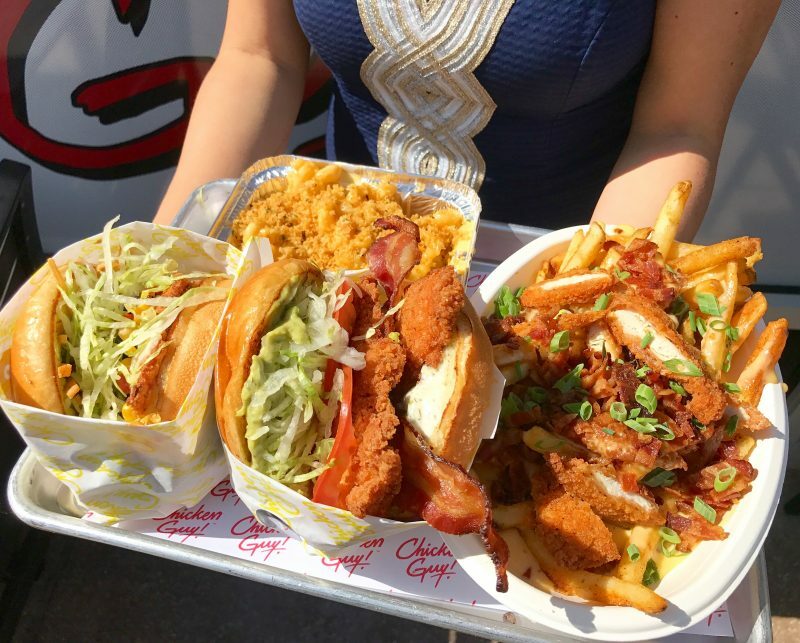 Tasty sides include: Mac Daddy Mac n Cheese & Loaded Fries smothered in SMC (super melty cheese) and topped with chopped grilled chicken, bacon, and green onions. 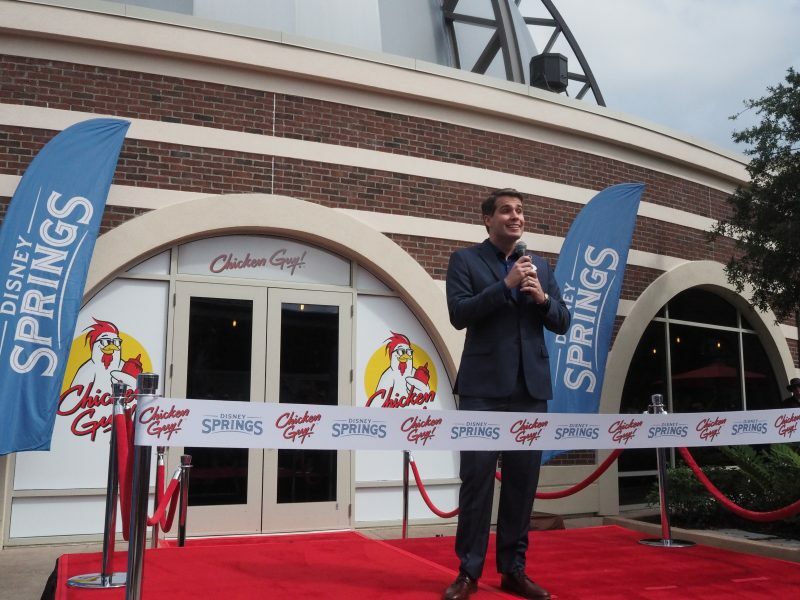 Robert Earl, founder of Planet Hollywood and co-owner of Chicken Guy! 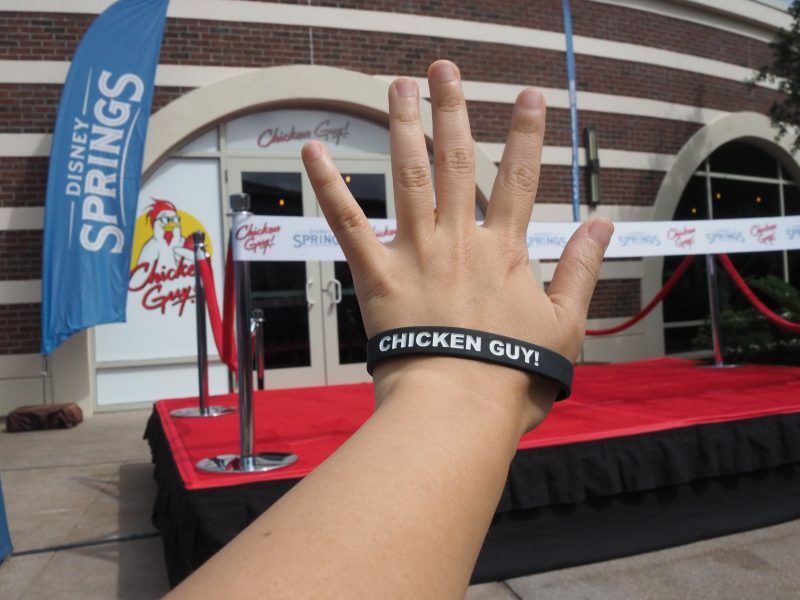 Be sure to check out Chicken Guy! 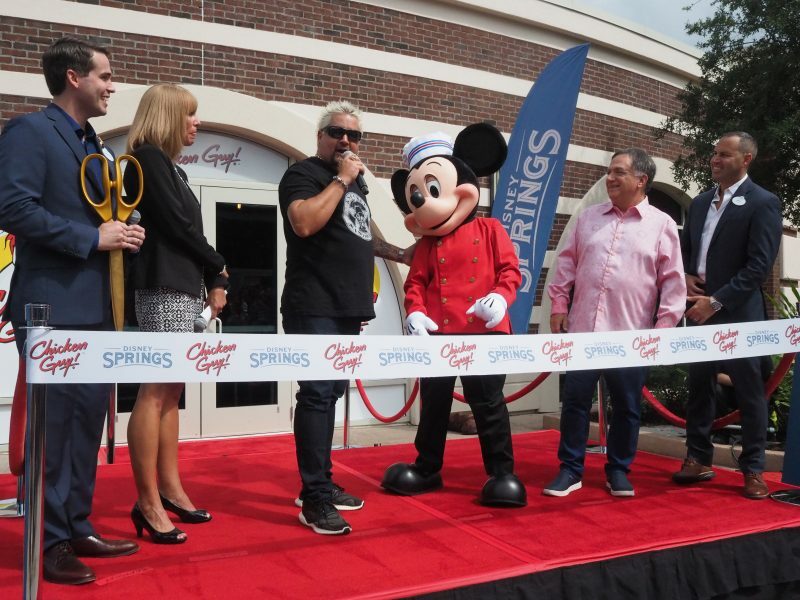 the next time you are at Disney Springs!